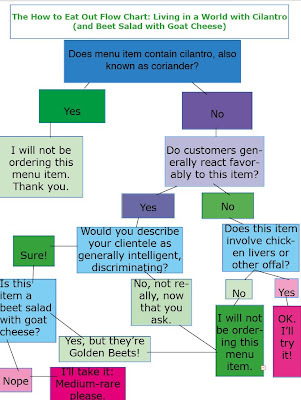 The true brilliance of this diagram is that it's applicable for all potentially offensive herbs. For instance, I do not, cannot, and will not eat dill. Indeed--one man's dill is another man's cilantro. I love dill, but vehemently defend your right, even your need, to hate it.